The magnet emits flux along its entire surface area. However, only some part of the flux will be used for the intended application, say to develop force inside a motor or to lift the load in the case of a crane. This is known as the active flux. 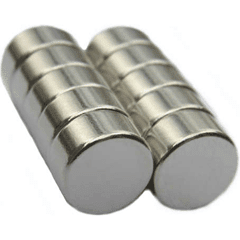 The Active surface of a magnet is the surface which emits the active flux. The area of the magnet from which this flux emanates is called the active surface of a magnet.